The Outlook to Windows Live Mail Migration tool performs the Migration in 6+ different Format apart from Microsoft outlook to Windows Live Mail. How to import Outlook Express dbx files to Windows Live Mail? Is the software maintains the folder structure after the migration? Can I convert outlook express files to windows live mail? Can the software easily transfer attachments during migration procedure? Is there any limitation imposed on the product to restrict the size of Outlook express? Will this software need more email application for the migration? How much time is needed while migrating all the data from Outlook Express to Windows Live Mail? It is not simple as that to import only the data files from one platform to another. Thus, to solve all such type of problem users wants Outlook Express to Windows Live Mail migrator software. 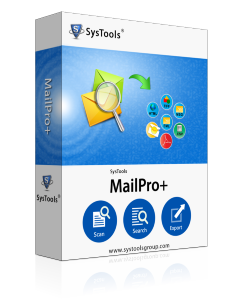 This software is specially designed to move messages from Outlook Express to Windows Live Mail 2012. However, the migrator has multiple advanced features and capable to import emails from Outlook Express DBX Files to Windows Live Mail 2011 in bulk. In addition, there is no file size limitation. Therefore, users can easily move any file rather than file size. This utility also maintains the data integrity after exporting. Moreover, software has a user-friendly interface to export all the files to Windows Live Mail. Furthermore, there is no need to install any more email application to use such software. Does the software transfer outlook express to windows live mail on new computer? Yes, Outlook Express Files to Windows Live Mail migrator allows to transfer all the data files in bulk. What number of DBX files can this tool export at once? The software allows to add multiple .dbx files at once. Even you can add .dbx files from different folders. Is Outlook Express dbx files to Windows Live Mail migration tool compatible with Mac Platform? No , Outlook Express Files to Windows Mail software is not compatible with Mac Operating system. It is a Windows-based email application. Does this software provide the facility of the naming convention? Yes, Outlook Express DBX files to Live migration tool gives an option of naming pattern during the migration process. "An amazing part which I liked about this application is its interactive user-interface. Being a non-technical user, I can easily import DBX files into Windows Live Mail without any difficulty. It is a helpful product for performing the migration procedure. Kudos for good work." "I am impressed with advanced services of support department of an Organization as they helped me to exclude the duplicate files from Outlook Express Emails. I must say OE to Live Mail migration is the great tool that helps to export DBX files in Windows Live Mail without any loss. Thanks a lot!"